If you missed the Status Magazine Release Party at Fiamma last week, then I suggest you grab a copy of their May issue to get you your much needed Status fix. 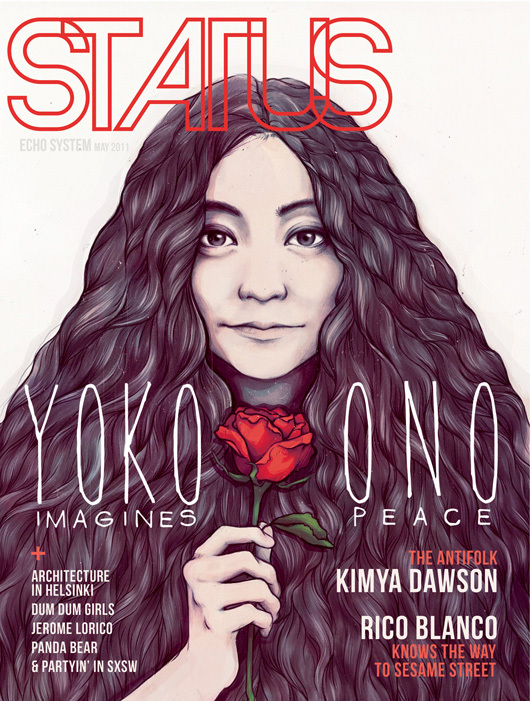 Yoko Ono on the cover. How awesome is this illustration of Yoko Ono? Status always has the best covers and the most inspiring people.